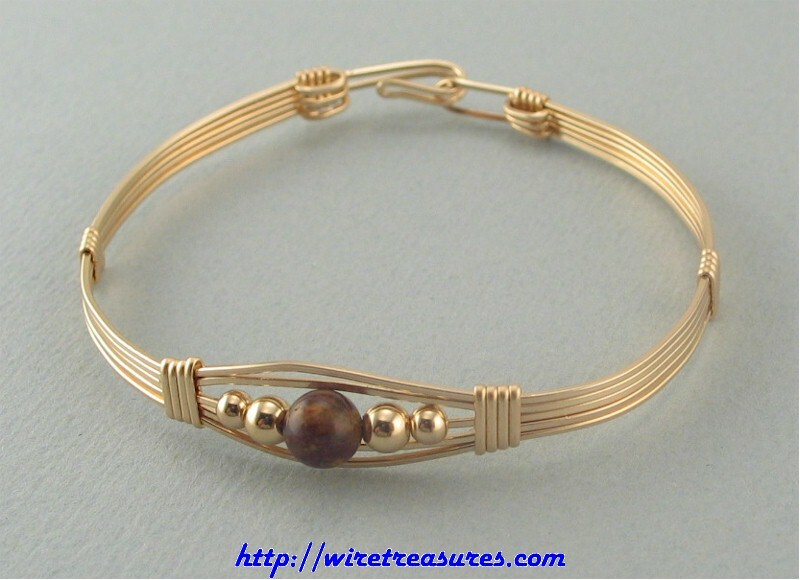 This 14K Gold Filled wire bangle features a 6mm Pietersite bead and four gold beads. I can fashion this bangle with other beads, so e-mail me if you'd like to discuss that. You are visitor number 6,563 to this page.